Sometimes my muse and I need some time apart, a day for me to put all of my various creative projects out of my mind and just relax. 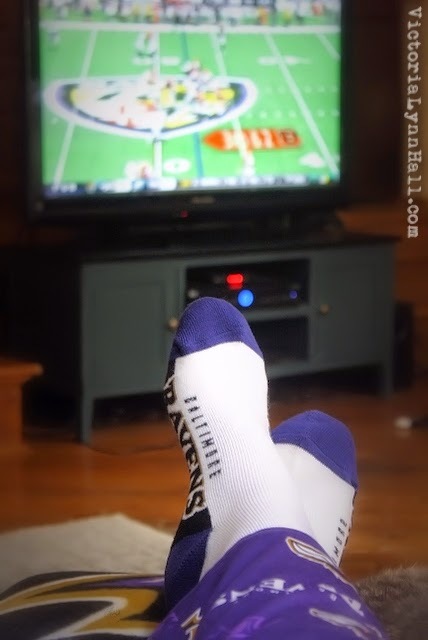 This is why I am grateful for Football Sundays. NFL Football is one of the few things that can lure my thoughts away from all of my crazy ideas for awhile. However, being me, there are a few details I have to see to before I can really chill out. 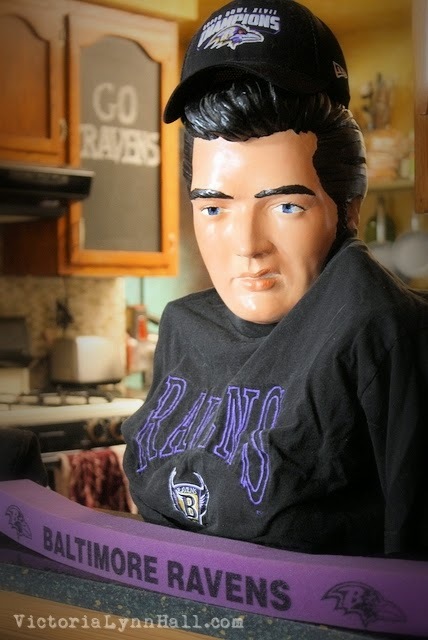 For one thing I have to make sure everyone is wearing the proper attire, including and especially Elvis. Also, there has to be snacks. 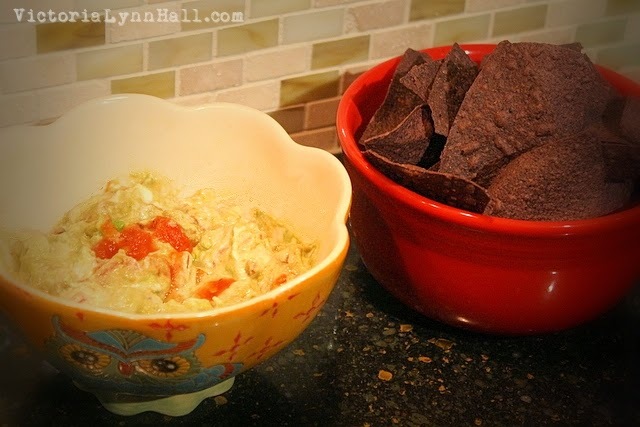 For this past Sunday I made my creamy guacamole dip. 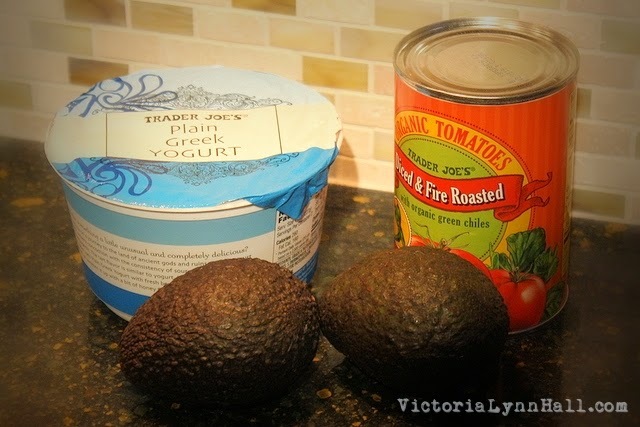 Here's my super simple recipe for it: mash up a couple of avocados with a fork, add half a can or more of diced tomatoes with green chilies and a couple dollops of Greek yogurt, stir it all together and voila! Of course, the day might have been a little more enjoyable if my team hadn't lost but any day I get to spend relaxing with my husband and our cats is a winning day for me! 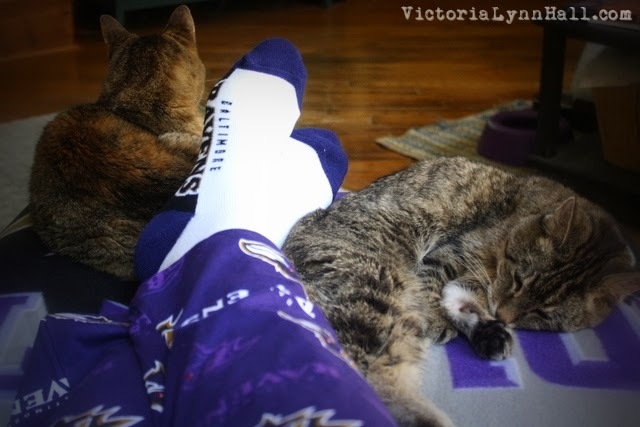 No, there is no Ravens attire for our cats but they do love our Raven's blanket.